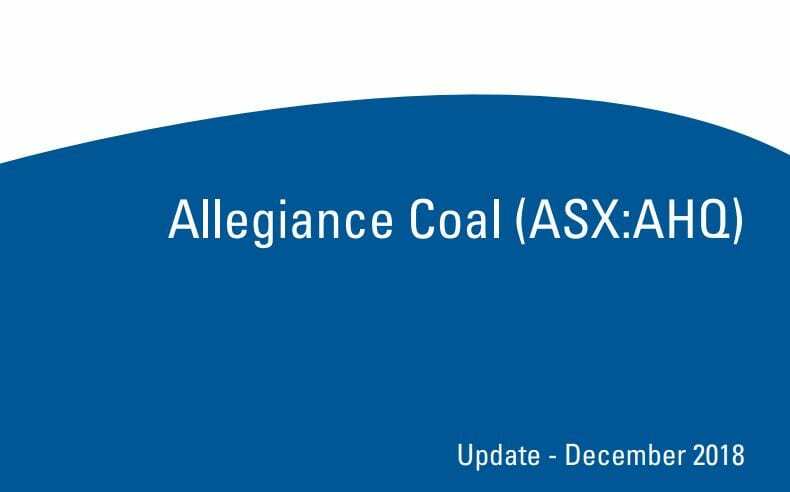 Subsequent to our March 2018 update, Allegiance Coal (“Allegiance” or “the Company”) has made major progress on key fronts on its Tenas Coking Coal Project (“Tenas” or “the Project”), located just 375km by rail from the under-utilised Ridley Island Coal Terminal (“RICT”) in northwestern British Columbia, Canada. To reiterate, Tenas has the potential to produce mid-volatile, semi-soft coking (“SSCC”) or PCI coal at FOB costs in the lower 5% of the global sea-borne trade with resultant robust returns from the Project. This is by virtue of the low strip ratio and access to infrastructure; the Project has ready access to power and transport, including being just 24km from the Canadian National Rail (“CNR”), which links directly to the RICT.